…Although written for Israel, it seems like Ezekiel 38:10 & 11 has application to some other nations as a warm-up exercise, prior to its fulfillment against Israel…”thoughts will arise in your mind, and you will make an evil plan: You will say, ‘I will go up against a land of unwalled villages; I will go to a peaceful people, who dwell safely, all of them dwelling without walls, and having neither bars nor gates’—to take plunder and to take booty” …sounds like this applied to all the counties in the article above! …with the devastating impact of a bad final P5+1 Agreement with Iran, and now the soon delivery of sophisticated new weapons to Iran by Russia, Israel’s strike on Iran – which is the prophecy of Jeremiah 49:35-39, is on the verge of being fulfilled. Russia and North Korea declare 2015 a "year of friendship"
…as Syria, Hezbollah and Hamas are the proxy of Iran, so may North Korea become a proxy of Russia…increasing news in the press of late, concerning the threat of an EMP attack on America could be the possible work of this axis of evil. Moscow will support the Palestinians in their efforts to build an independent state with a capital in east Jerusalem, Russia's President Vladimir Putin said on Saturday… Putin also spoke on the importance of synchronizing the efforts of the Arab League with those of the United Nations, the United States, the European Union and Russia… http://www.jpost.com/International/Putin-to-Arab-League-Palestinians-have-right-to-state-with-capital-in-East-Jerusalem-395456 …Gog seems to now be involved in the affairs of Israel, to support a “would be State” and terrorist organization who has as its stated goal, the destruction of Israel. This is really the end goal of Gog, the destruction of Israel and the plunder of its resources. Ezekiel 38:11 states Israel will then be living for a time in Peace and safety, without walls or gates, when Gog, the prince of Rosh, Meshech, and Tubal makes an evil plan and gathers an army to take to take great plunder...and the "hook in the jaws" (v.4) for this "evil plan" is simply two words GAS & OIL. Israel is about to greatly expand its territory, and Putin, the current Prince of Rosh, in his power surge is not about to let Israel control the Gas & Oil wealth in the territories Israel then controls. (Note: For Russia everything is about GAS & Oil as it supplies over 50% of Central Europe oil and gas and 30% of the EU and by its hostile takeover of Crimea, Russia gained control of about 70% of Ukraine’s Black Sea offshore oil and gas drilling rights). Make no mistake about it, “Gog the Prince of Russia is on the Prowl” and Gog is clearing a path that leads to Jerusalem and the War of Gog & Magog. Breaking News from Eschatology Today Blog: The Russian Federation has launched large-scale war games throughout its Southern Military District (image above) plus Russia's newly annexed territory of Crimea, as well as its bases in Abkhazia and South Ossetia (formerly the western and northern districts of the Republic of Georgia), and in Armenia. 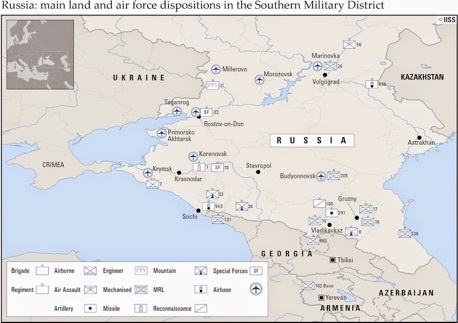 These military forces consist of two entire land armies, large numbers of Special Forces (Spetsnaz), four brigades of paratroops, a Marine brigade plus several independent Marine battalions, the entire Black Sea Fleet and the 4th Air/Air Defense Forces Command. These war games are an unambiguous message to NATO and Israel about Russian military forces preparedness to engage in full-scale war at a moments notice. Reinforcing this message is the Russian Defense Ministry announcement of these war games continuing over the course of the next month, which not so coincidentally happens to overlap with the time remaining for the P5+1 nuclear negotiations with Iran to reach an agreement. Also not coincidentally is the geographic fact that the large swath of territory that is the Russia's Southern Military District is directly north and contiguous with the Iranian border. Most important from the biblical eschatological perspective is that this territory fully encompasses the northern territories identified in the prophecy of Ezekiel 38/39. Related to this is news from the Ukrainian government that Russia is using the current ceasefire not to withdraw its troops from eastern Ukraine, but to instead rotate them with fresh troops from Russia. The Ukrainian government estimates there are now a minimum of 18,000 Russian troops on Ukrainian soil in Donetsk and Luhansk provinces. Gog of Magog is clearly on the move with his military forces. See the following link The War of Gog & Magog - Key event that sets the stage for Tribulation for excellent teaching on this soon coming Middle East War against Israel! Watching For A Hook - Ezekiel 38 On The Horizon? A major energy pipeline project may help the strained Turkey and Israel relationship. On March 23, it was announced that over 10 companies responded with bids for an undersea pipeline that would export natural gas from Israel's offshore Leviathan field to southern Turkey. The proposed pipeline statement came shortly before a meeting between Israeli PM Netanyahu's personal envoy for energy and the chief of Turkey's National Intelligence Organization, in which both parties agreed to work toward reopening embassies and normalizing strained relations. Israel and Turkey both seem to be isolated in the region, giving both countries a reason to begin working together again. 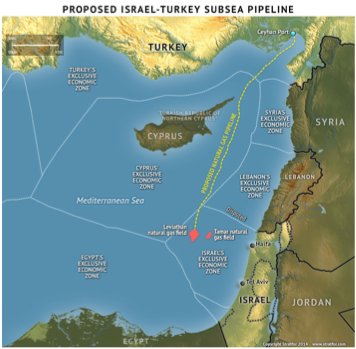 The proposed Israeli Leviathan pipeline could be used as a springboard for normalizing Israeli-Turkish relations. As a consequence of its lack of relations with both Israel and Cyprus, Turkey found itself sidelined from their joint exploitation of enormous offshore natural gas discoveries in the Eastern Mediterranean. The proposed pipeline system has been hailed as Turkey's entrance into the energy game. Since Russia earns as much as 80% of its state budget revenue through gas and oil commodity sales, and given what just happened in Crimea, how long do you think Gog/Putin will let an Israeli-Turkey gas pipeline deal stand unchallenged, and one that reduces Turkish and Europe’s reliance on Moscow to supply its energy needs? Verse 2 in the NLT says "Gog of the land of Magog, the prince who rules over the nations of Meshech and Tubal" which would seem to indicate Gog, the Prince (Czar) of Russia also rules over Turkey at this time. Could Turkey be one of the next targets of Russia, as was Crimea? A possible scenario could be that Turkey invades Syria - as previously reported, a recent conversation took place between key Turkish military and political leaders discussing what appears to be a false flag attack to launch war with Syria...To summarize: a recording confirming a NATO-member country planned a false-flag war with Syria and all the Turkish Prime Minister has to say is the leak was "immoral." (4) Turkey is a staunch opponent of the Damascus regime, and hosts about 800,000 refugees from the three-year-old Syrian conflict, many of them in camps along the border. On the 23rd of March a Turkish F-16 aircraft shot down a Syrian fighter jet for a breach of Turkish airspace. Just this past Friday, Turkey returned artillery fire into Syria. Russia’s sole Mediterranean base is at Syria's Tartus port. The Syrian army is equipped with Russian weapons. For Russia, Syria is both a market and an operational observation post. A Turkish strike on Syria and/or a major gas deal with Israel (threatening Russia) would be viewed by Russia as a declaration of War - how do Russians deal with insecurity? They attack. Turkey and Russia have a long history of war between the two countries so don’t be surprised if it were to happen again, positioning Gog to rule over Meshech and Tubal. The Israeli-Turkey pipeline does not need to be up and operating - just the threat of an agreement is enough for Russia's action...the threat of this Israeli-Turkish gas alliance was just put into play! The following are some very interesting select excerpts from the article linked above. Click the link above for the entire article and some great history on Russia and Gog/Putin. Putin, who was himself baptized in secret as an infant, is starting to acquire a supernatural persona in Russia – and his name is said to mean, “the path”, or “the way”. 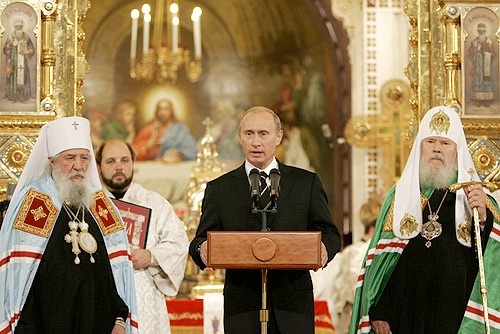 He himself has overseen the reconstruction of over 23,000 churches that had been destroyed or abandoned under Communism...Putin publicly states that since most of Europe is rooted in Christianity, Russia is the new leader in supporting Christian values and morals; he is quickly gaining support from religious leaders in Europe. Keep in mind that this Christianity is state sponsored Eastern Orthodox; Protestants need not apply. The Russian Orthodox church the largest landowner in all of Russia. He is quite conservative regarding abortion and gay rights, so how’s this for irony – America is likely more secular today than Russia. But think of it this way: in order for Russia to be part of the last days global religion, whatever form that will assume, their Communist religion of atheism would have to be rejected in favor of some sort of spirituality. It’s just another piece of the prophetic puzzle. In Ezekiel 36-39, we have an amazing set of prophecies concerning the rebirth of the nation of Israel after having been in captivity among the nations for over 2000 years, followed by a latter days invasion by a coalition of nations lead by a great power directly to the North of Israel. This is referred to as the War of Gog and Magog. These prophecies have the full attention of bible scholars today because they clearly point to fulfillment following a miraculous regathering of Israel which took place 66 years ago in May. Never in history has there been a world power to the North of Israel that could both instigate and field an army on the level of the one described in Ezekiel 38-39, until the modern era and the rise of superpower RUSSIA. So what about those Cossacks? With the current events in Crimea and Ukraine, they are finding their way into the news again, but probably not for the exact reason I am going to give you today. Who are they? The Cossacks played a key role in Crimea’s reabsorption into Russia. Primarily, they are committed to assisting the motherland take or keep any land they choose. They are rabidly pro-Orthodox and will defend the church at any cost as well. Cossacks are from the Ukraine/Crimea area historically, a caste of warriors who have guarded the borders of the empire for centuries – “Eastern Cowboys” of sorts, but known for their brutality. No one really knows ethnically who they are, but they are still around, today a paramilitary force throughout Russia. Oh, and the main thing they are known for? They ride horses exclusively. A few years ago, Putin signed a law not only giving them the status of state militia, but they are paid by the government, and they answer to Putin who determines who their ranking officers are. No longer a rag-tag lot of self appointed vigilante types, today they are 600,000+ strong: a great company, splendidly clothed, armed with swords — and ready to go when Putin says so. I find that quite interesting in light of Ezekiel’s prophecy. 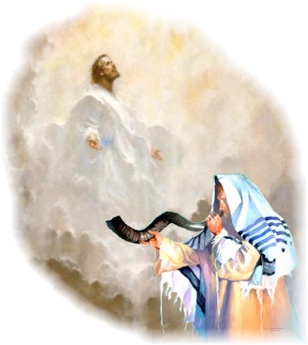 I suggest that the West will never see this situation for what it is because the new spiritual dimension here will completely elude the secular West, and so the Russian invasion of Israel just might catch most everyone off guard, as suggested in Ezekiel 38:13. I would encourage you to do your own homework on these things, and keep looking up as the hour is late. In a March TIME article titled "Armed Cossacks Flock to Crimea to Help Russian Annexation Bid" it stated that Cossack zealous devotion to the Orthodox Christian religion tends to unite them, and after the morning lineup on the square in Simferopol, the highest-ranking commanders walked over to a nearby church — The Cathedral of Holy Mary Magdalene, Equal to the Apostles — for a private powwow. It began with a blessing from a local priest of the Russian Orthodox Church, Vitali Liskevich, who prayed for the Lord to defend the righteous mission of the Cossacks in Crimea ...really! WOW, unreal! In a February 2014 report Pew Research titled "Russians Return to Religion, But Not to Church" reported during the past two decades Orthodox Christian rose from 31% to 72% of the population...But for most Russians, the return to religion did not correspond with a return to church. "But know this, that in the last days perilous times will come: For men...they will have a form of godliness but deny its power...they are always learning and never able to come to the knowledge of the truth...they are men of corrupt minds, disapproved concerning the faith...but they will progress no further, for their folly will be manifest to all." 2 Timothy 3:1-9 ...clearly denying the true spiritual power of (Christ centered) "religion" - Putin finds the Church provides another kind of power, one of a moral rubber stamp for his current (Crimea) and soon coming (Ezekiel 38 - 39) actions. As Mary Danielsen points out in her article above "in order for Russia to be part of the last days global religion, whatever form that will assume, their Communist religion of atheism would have to be rejected in favor of some sort of spirituality." That "form" of spirituality appears to be the State supported Orthodox Church. Additionally, Islam is the second most widely professed religion in Russia (14% of the population by some reports)...and we know from the list of nations in Ezekiel 38, that it is a coalition of Russia lead Islamic nations - possibly a form of Chrislam Holy War. As Mary points out again in her article "Is this new religious nationalism something that Russia may use to their own advantage in seeking to fight for a strong religious presence in Israel, looking to oversee holy sites once again? I read a news quote last week that stopped me in my tracks: The next time Russia expands southward, it will be for religious reasons.” Additionally, with Putin’s alliances and full support of the Muslim nations of Iran and Syria (and emerging support of Egypt and other Islamic nations all against Israel) ...it is all making sense now! The second point that stands out in Mary’s article is the description of who the Cossacks are and the clear reference to what the invading army of Ezekiel 38 looks like - to steel a term from the fashion blogs its matchy matchy!! Biblical prophecy being fulfilled in real time before our eyes...Time to look up, because our redemption is drawing nigh - MARANATHA!